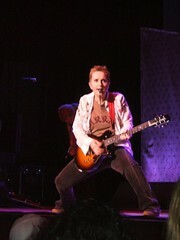 Melissa Etheridge and her partner, Tammy Lynn Michaels, have twins, the couple announced Friday. Michaels gave birth to a boy and girl Tuesday: son Miller Steven and daughter Johnnie Rose. „Tammy and the babies are in excellent health,” Etheridge said on her Web site. The babies were conceived using an anonymous donor from a sperm bank.